Lots of people talk about quality. We don't talk about it: we simply provide it. maintenance of an internal database to accumulate experience and feedback, and to train new employees. But we don't use machine translation. That's a big no-no for us. We start quality assurance long before we receive a customer's order — it begins when we hire new employees. According to our statistics, only 2% of job applicants pass the selection process to become a translator at our company! Moreover, those who do, undergo a lengthy training process before being able to complete their work acceptably well. It takes at least a year for a new hire to become a skilled translator or editor. This means that when you entrust us with work, you can be sure that we only select the best candidates to perform the tasks. 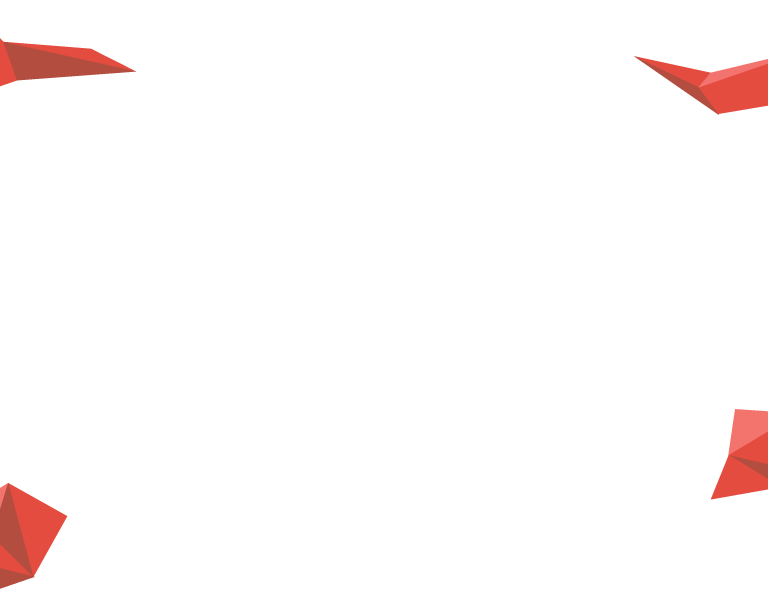 The stages that we complete to deliver work to the customer are shown on the left (blue) part of the diagram. The extra stages that we consider appropriate to ensure the long-term quality of our linguists' work are shown on the right. All of the steps necessary to ensure the work requested by a customer is of high quality. This means proofreading and editing by a second linguist as well as automatic checks using specialized tools. Analysis of an editor's changes to the translation and classification of every change. Thus, our translators receive feedback on each translation to improve their skills and avoid repeating the same mistakes twice. Trados, Idiom, SDLX, Transit, memoQ, Helium, LocStudio, GTT, Passolo, Wordfast, and many others. 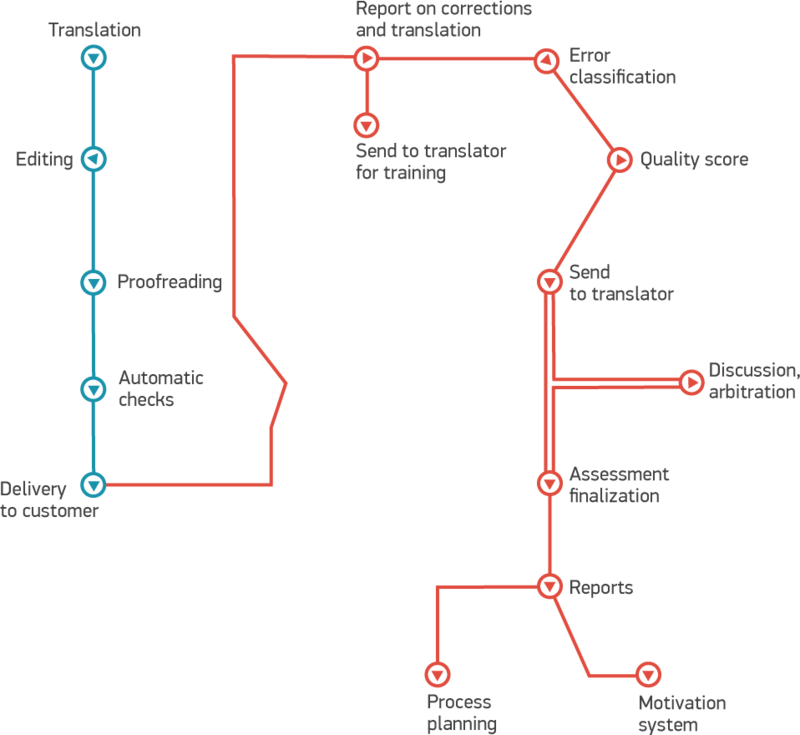 These systems let translators instantly "remember" the translation of a previously translated sentence or a term, facilitating a more consistent translation. These tools are used after an editor has checked the files; to detect and correct errors the software is capable of finding. There was a time when the market didn't offer a convenient tool to do this, so we decided to develop our own. We wrapped up development of ChangeTracker (www.change-tracker.com) at the end of 2011. This is an easy-to-use application, which compares files delivered by a translator with those corrected by an editor. Our processes require that after the editor is done making changes, he or she submit not only the edited files but also a detailed report about the changes made. Then we send this report to the translator for review. The editor can also view his or her own corrections to ensure no errors were introduced during editing. 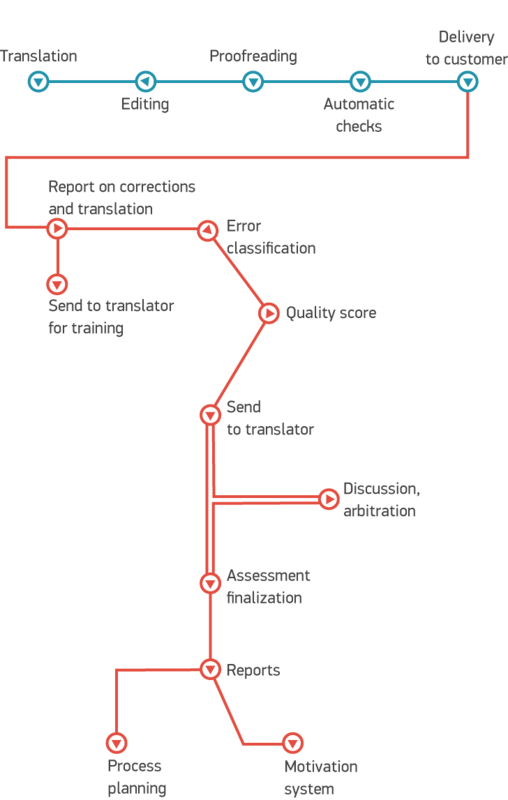 The translation agency benefits from this tool by evaluating the editor's performance.